Diagnostic criteria, pathological features, and associated genetic alterations are described in a strictly disease-oriented manner. Sections on all recognized neoplasms and their variants include new ICD-O codes, epidemiology, clinical features, macroscopy, pathology, genetics, and prognosis and predictive factors. 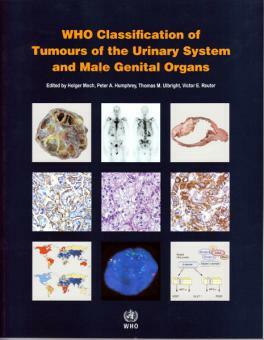 It contains numerous colour photographs, MRIs, ultrasound images, CT scans, charts and references. , Gebunden, 199 S., 110 Abb.